Tobias Freund is long established as an influential artist and has – since the early 1990s – been working as a professional producer, sound engineer, label owner and strictly live musician. Besides his early solo projects (such as Pink Elln, Metazone or Phobia) he’s also been collaborating with Dandy Jack (as Sieg Über Die Sonne), Ricardo Villalobos (as Odd Machine), Max Loderbauer (as NSI. ), Valentina Berthelon (as Recent Arts) and Atom™ to only name a few. With his vast experience, diverse output and interests, Tobias. doesn’t tire to actively push against existing boundaries and explore new areas of electronic music. While Eyes In The Center as a whole can't be pinned down to a certain mood or sound, there is an underlying concept in reference to the idea of autopoiesis, meaning ‘self’ and ‘creation, production’, a system which reproduces and maintains itself. Originating from the scientific fields of chemistry and biology, applied to machine music it’s intriguing – what else is a sequenced loop: a flow, a rhythm that keeps rolling, maintains and reproduces itself. Spearheaded by Chilean philosopher and neuroscientist Francisco Varela the song “Autopoiesis” uses Varela's own reflections on this topic. 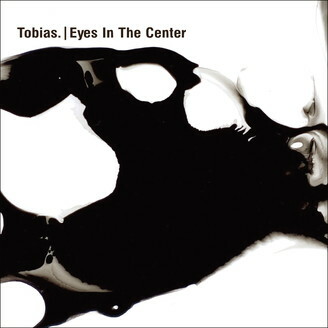 On Eyes In The Center Tobias. expands his exploration of these ideas that already informed his work with Chilean visual artist Valentina Berthelon on their joint audio-visual project Recent Arts in 2016.